With thirty years of family law experience, co-principal P. André Katz represents high-profile, high net worth clients, often in the worlds of business, sports and entertainment. 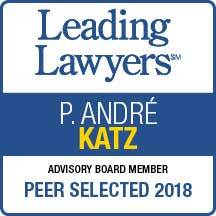 Mr. Katz is a successful litigator and recognized expert in international child custody and jurisdictional disputes, handling overseas cases in Latin America, Asia, Europe and the Middle East. 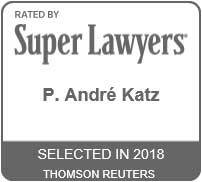 Mr. Katz was recently named a “Best Lawyer” by U.S. News & World Report and also designated a “top family law practitioner” in Illinois by the Leading Lawyers Network and Super Lawyers Network. 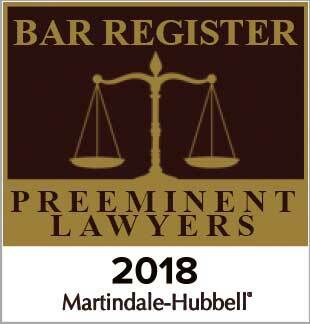 A highly sought-after speaker and well-published writer on a wide range of family law topics, he has lectured throughout the United States, including talks before the American Academy of Matrimonial Lawyers, the Illinois State Bar Association, The Chicago Bar Association and the National Business Institute. His research and opinions have also been published in articles featured in the Illinois Family Law Handbook, The American Academy of Matrimonial Lawyers Journal and numerous other publications. As chairman of the Illinois Family Law Study Committee, enacted by House Resolution 1101, Mr. Katz has led the public review and proposed revision of Illinois’ divorce and child custody laws and is responsible for submitting the Committee’s final report to the governor and the House of Representatives. He also played a key role in laying the early foundation of the expedited child support program in the Circuit Court of Cook County. 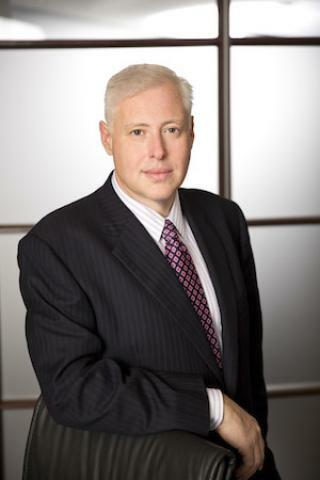 Throughout his career, Mr. Katz has been an active member of The Chicago Bar Association, Illinois State Bar Association and American Bar Association. He also served as co-chairman of the CBA’s Young Lawyers Division of the Family Law Committee. Prior to his role as co-principal of Katz & Stefani, Mr. Katz was a former partner in the litigation department of McDermott Will & Emery, one of the world’s largest law firms, and an equity partner at Berger Schatz. P. André Katz and Erin Bodendorfer authored an additional article, “The Illinois Marriage and Dissolution of Marriage Act Effective January 1, 2016: An Overview from the Chairman of the Illinois Family Law Study Committee,” which was published in the Chicago Daily Law Bulletin’s 58th Annual Law Day Edition on April 24, 2016. Mr. Katz is admitted to practice in Illinois.